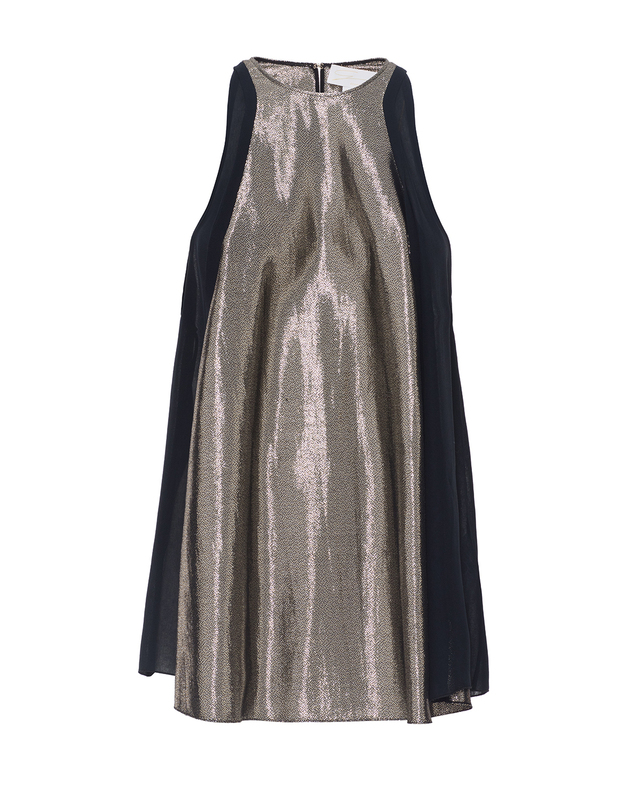 The sleeveless silk top is simple yet elegant. The fluid and airy silhouette with its boat neck gives you a refined and feminine look, yet at the same time has a casual feel. 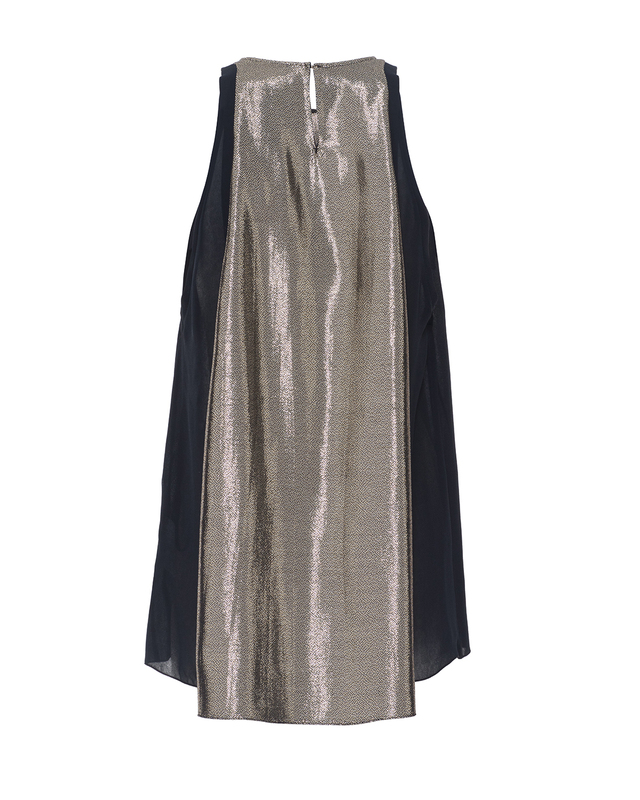 The gold lamé insert embellishes the top, which can also be worn in the evening with a dark, skinny pant.